I’m really enjoying this project at a primary school in Padiham, Lancashire. 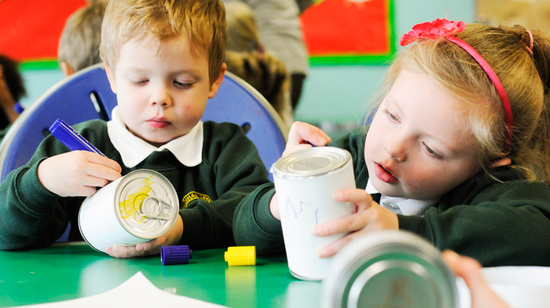 The aim is to help a group of children from Reception and Year 1 to engage more fully with writing by using creative approaches – just my kind of thing! I start each session by introducing a story narrative to provide a sense of purpose for the writing, stimulating the children’s compositional skills. Then varied choice of tools and media help sustain interest in developing the mechanical or secretarial aspects of the writing process. The results have been outstanding!